Showing that connecting, protecting, and restoring corridors of conserved lands and waters are essential for the survival of Florida's diverse wildlife. Encouraging the restoration of longleaf pine forests while conserving farms and working lands and the communities they support. Inspiring the restoration of springs and river flows, sustaining the supply of freshwater to the Gulf of Mexico and the Atlantic Ocean. Illustrating the need for connected habitats, providing wildlife the room to roam. 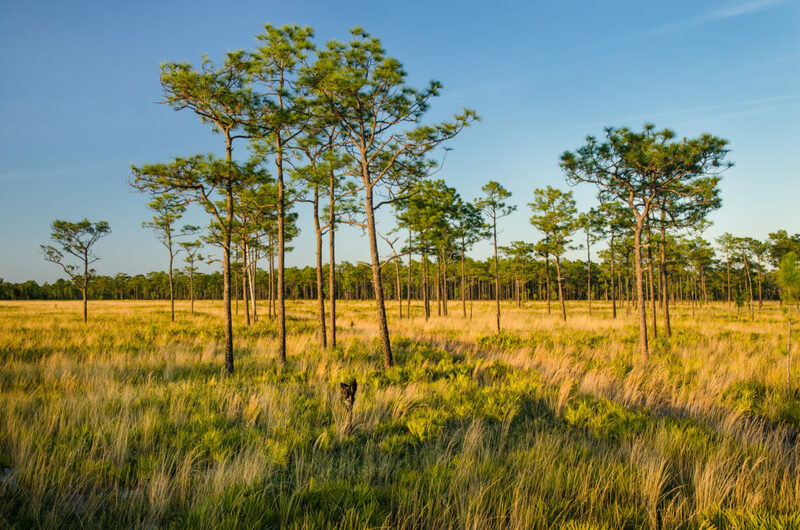 The Florida Wildlife Corridor organization champions the public and partner support needed to permanently connect, protect and restore the Florida Wildlife Corridor – a statewide network of lands and waters that supports wildlife and people. 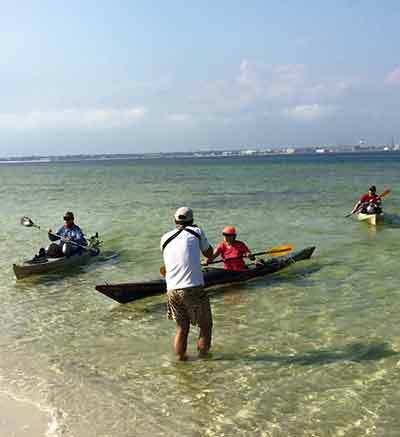 Our organization has trekked 1,000 miles across Florida – twice – to demonstrate the need and opportunity to connect wild places in Florida. Using a science-based approach, on-the-ground knowledge of the Corridor, and the support of thousands of followers throughout the state and nation, the Florida Wildlife Corridor now embarks on its most important journey – to accelerate the rate of conservation in Florida by 10% annually in order to protect 300,000 acres within the Corridor by the end of 2020. The Florida Wildlife Corridor organization (FLWC) is seeking qualified applicants for a part-time Development and Administrative Assistant position. The successful applicant will have demonstrated experience with fundraising, donor management, membership programs and online giving platforms. Strong organizational skills and the ability to work independently are also necessary. Click here to read about the position. On April 15 the Expedition team set off to navigate and document a critical chokepoint of the Corridor that can possibly still be saved. Every day 1,000 new residents move to Florida and each hour 20 acres are lost to development. The roads we build, like Interstate 4, block wildlife and water. The remaining wild areas between Tampa and Orlando are quickly becoming isolated. Only three natural connection points remain linking the Everglades Headwaters south of I-4 to the Green Swamp north of I-4. This exploration issued a call to action; we must protect and restore remaining wild threads within our growing urban interface. 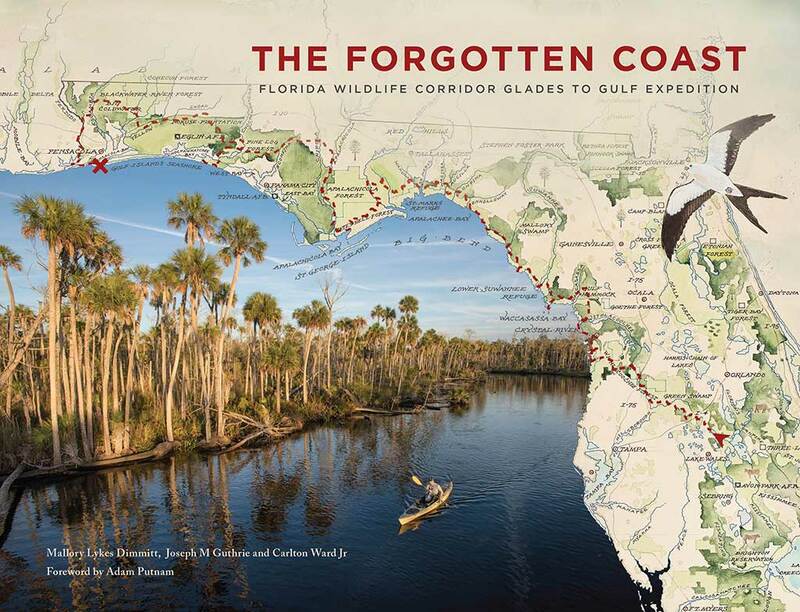 Visit our shopping page for “The Forgotten Coast, Florida Wildlife Corridor Glades to Gulf Expedition” by the Expedition team, Mallory Lykes Dimmitt, Joseph Guthrie, and Carlton Ward Jr., the DVDs and other merchandise. We combine conservation science with compelling imagery and rich storytelling to heighten the visibility of the Florida Wildlife Corridor and inspire its protection. 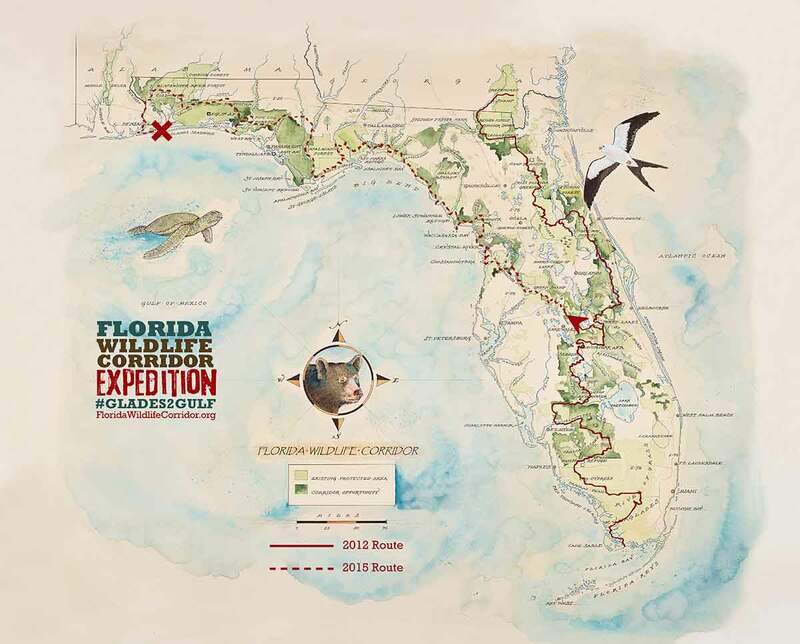 Through education and citizen engagement, the Florida Wildlife Corridor advocates for the protection of the missing links needed to connect conservation lands in the Corridor. Our Florida Wildlife Corridor Expeditions result in documentaries, books, videos and vivid photographic presentations that introduce these natural areas to Florida residents and visitors of all ages. A corridor is a natural, continuous swath of lands or waters that wildlife, including the Florida Black Bear and the Florida Panther, travel to access different habitats or for parts of their life cycle. 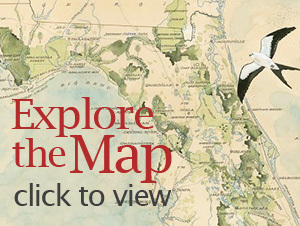 These connected wild areas ensure the long-term survival of many native species, as well as the health of our waters and Florida’s rural way of life. Without long-term protection, significant portions of the Florida Wildlife Corridor are at risk of fragmentation – either by roads or other development. Fragmenting the Corridor threatens the ability of wildlife to travel, restricts breeding opportunities and ultimately harms plant and animal communities. Breaking up the Florida Wildlife Corridor would also be detrimental to Florida’s fresh water resources. We have a fleeting opportunity to keep natural and rural landscapes connected in order to protect the waters that sustain us, the working farms and ranches that feed us, the forests that clean our air, the coastal zones that protect us from storms and the habitat that all of these lands provide for Florida’s diverse wildlife. 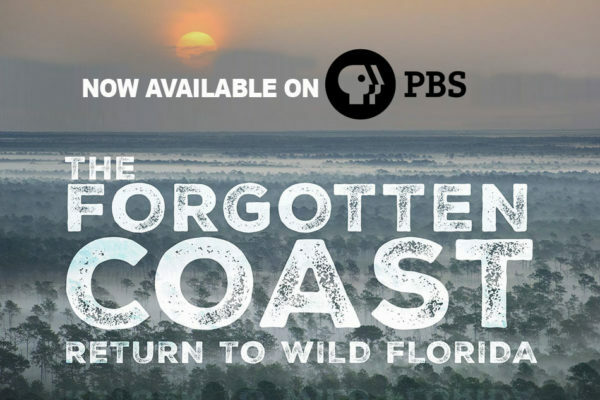 The Forgotten Coast: Return to Wild Florida tells the tale of Florida’s wild lands. Purchase the DVD here. 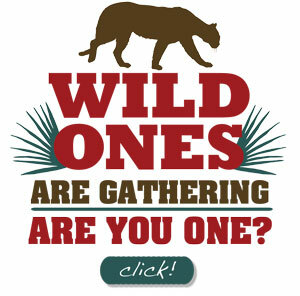 Visit Amazon Smile and select the Florida Wildlife Corridor as your charity. As you’re shopping, be sure to check out our wishlist. The Florida Wildlife Corridor seeks to bring partners and people together to accomplish the shared goal of permanently connecting, protecting and restoring the Corridor. With your donation, we will develop engaging outreach and educational programming for youth and adults, deliver key messages to citizens and officials to increase conservation funding, and aggressively pursue conservation and restoration in priority locations within the Corridor. All donations to the Florida Wildlife Corridor are tax-deductible and go directly to the Florida Wildlife Corridor public awareness campaign.